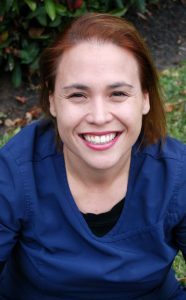 Meet our team: Briana Joy Pallares M.Ed. 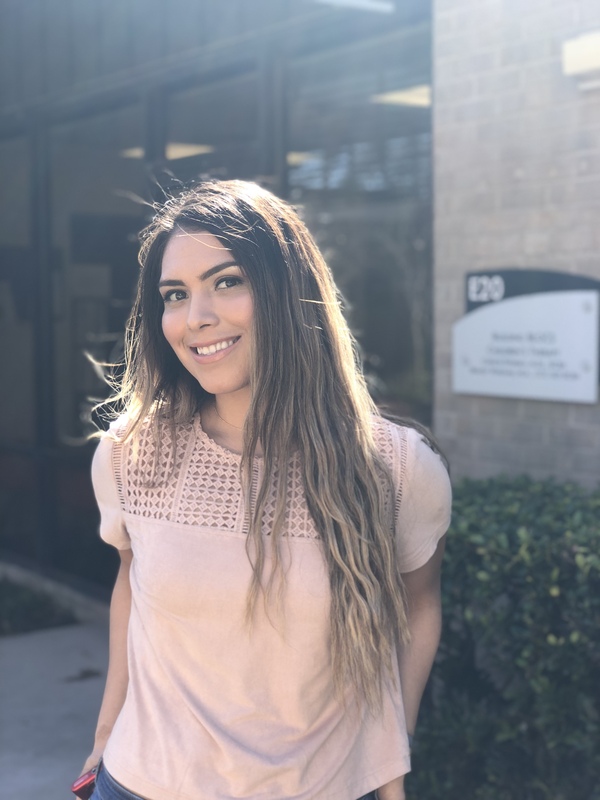 Briana is currently one of our ABA therapists at BLOCS and we wanted to give you all a better picture of who Briana is and why we love having her at BLOCS so much! What are some of your favorite parts of this job? What is a support group and is it right for me? Recently at Building BLOCS we have begun offering a support group for parents of special needs kiddos, specifically for parents of children with ASD. A question that was frequently posed to me was, “what is the purpose of a support group and how would it benefit me?” I thought this was a great topic for our blog. 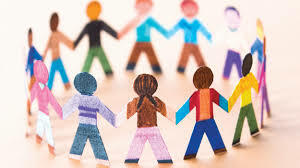 Support groups offer a group therapy environment where all the members are tackling similar issues in their lives and give the opportunity for members to share their stories and experiences in the hopes of creating a cathartic experience for themselves as well as helping others on a similar path. Support groups may meet anywhere from once to several times a month and can be specified to an ever-increasing array of topics such as depression, anxiety, and survivors of various serious illnesses. Parents of children with special needs often find they have similar struggles and successes with their journeys despite whatever differences in diagnoses and family life may exist. It is a space where parents can feel validated and heard as well as hear feedback from their group and facilitator. Often parents will discuss and share resources, normalize the experiences of other parents, and share uplifting successes. Support groups are a beautiful opportunity to expand your world view, heal, empower others and be empowered, be a part of a community, and participate in self-care! While all of this may sound wonderful to some parents, others may not quite be ready for the process and the overall group experience. How will you know if it is right for you? I would recommend contacting the therapist facilitating the group to discuss if group is appropriate for your needs. There can be dozens of factors contributing to why a person isn’t ready for the group experience just yet. You may be an incredibly empathetic person and hearing about the struggles of others puts more weight on your shoulders and may cause you additional distress. You may find that hearing about the problems of others does not relieve your distress but adds to it. This may be a fluctuating experience. There may be some discomfort with mental health counseling as we are discussing situations that are causing issues in your life, however ultimately, we want the group experience to create empowerment, catharsis, acceptance, and healing. You may have additional presenting concerns affecting your mental health that require more individual attention. Or you may simply prefer the individual attention provided by individual counseling. If you’ve never experienced a support group, I would either research what to possibly expect, or again, reach out to the facilitator. If you’re considering our BLOCS parent support group I am more than happy to have a consultation with anyone considering the support group or individual therapy to discuss your options and which would be a better fit for your mental health needs. One of the biggest reasons anyone avoids a support group of any kind is the hesitancy to accept there is an issue. Sometimes we find that parents struggle with accepting the reality of the diagnosis or it is still “too fresh” and they haven’t had time to come to terms with it yet, let alone join a group with people sharing the same issue. This is perfectly normal and to be expected! Just because you’re not quite ready for a support group does not mean you’re not necessarily ready for therapy. This is a scenario where individual or even couples counseling would be a great beginning opportunity to promote healing. I could look for jokes, quotes, or any cute little platitude to summarize these thoughts, but as a parent of special needs kiddos, you’ve likely heard them all! So, I’ll save you an eye roll at whatever horrible joke I would have come up with by again stating the utmost importance of self-care. Regardless of if you’re even a parent or not, self-care is vital to good mental health and we want to ensure our BLOCS parents (and all other parents) are taking care of themselves in addition to their kiddos. Please feel free to contact me at maggie@blocsaustin.com with any questions regarding our counseling services. This week, we’re proud to introduce you to Emma Henson! 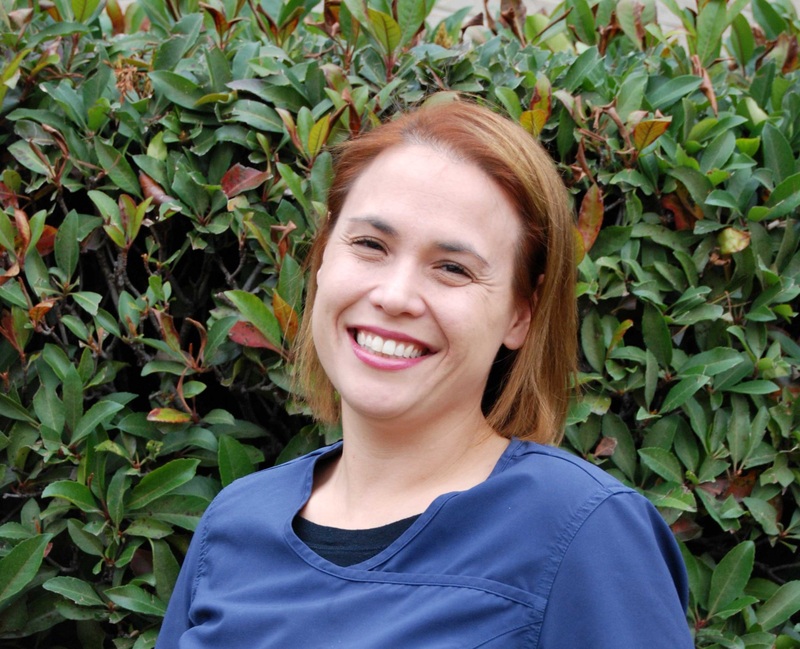 Emma is one of our BCBAs, which means that she works with our behavior therapists to provide therapy to children. As a BCBA, she designs, implements, and supervises children’s individual programming, provides supervision for the early intervention groups, and also provides direct therapy. In other words, she’s kept quite busy making sure children get the best care possible! 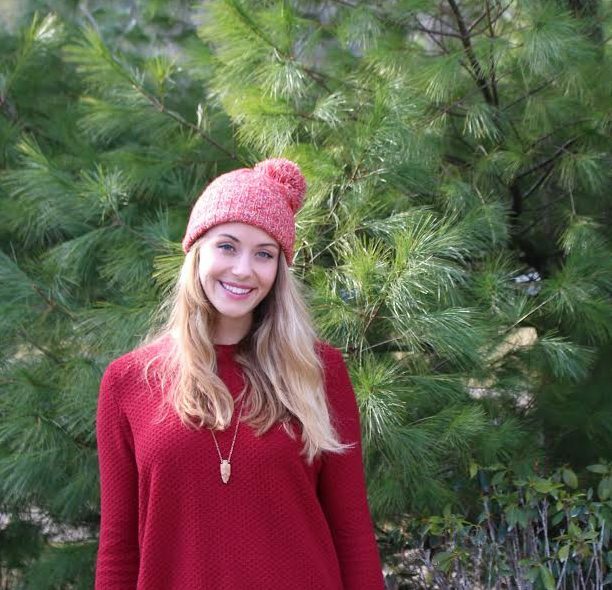 Emma’s interest in ABA started as an undergraduate at the University of Arkansas. She found herself interested in the brain and human behavior, and after observing a BCBA leading an early-intervention classroom, she knew that she wanted to pursue a Master’s in ABA. 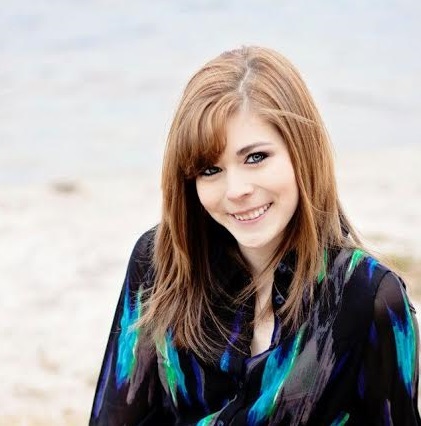 This led her to Austin, where she attended the University of Texas, earning her Master’s in Special Education with an emphasis in Autism and Developmental Disabilities. Since joining Building BLOCS in June 2016, Emma has enjoyed watching everyone as a team succeed in reaching a child’s goal. “The best part about this job is the moment when the whole team (the child, the therapist, the supervisor, the family)…has been working so hard on one goal (for example, potty training) and the child starts to achieve success,” remarks Emma. “[I]t’s a huge milestone!” In addition to achieving success in big goals, she also gets to witness small goals getting reached daily in her favorite activity, pretend play. Emma notes that children with ASD often need more prompting and modeling in arranging props and choosing roles, but once they catch on, their creativity is “magical.” It’s so much fun to watch their sometimes hilarious spins on traditional stories and play activities! Generating creativity in adults, on the other hand, can be a bit more challenging. “After you’ve re-enacted the three little pigs a million times, you can’t always find a way to make it new and exciting,” Emma notes. “But just when my creativity fails me, the kids come up with some out of this world idea.” Sometimes the most challenging moments are those that prove the most rewarding, and seeing children’s creativity shine is truly wonderful. Meet Maggie Hammer, our multi-talented ABA Therapist! Maggie, a registered behavior technician (RBT), also facilitates our Parent Support Group. She is currently completing a license as a professional counselor. We are thrilled to have had her as a part of our team since September 2016. Another interesting fact about Maggie is that she loves to work with picky eaters! She attributes this to the first child she ever worked with, who initially was so picky that he wouldn’t eat much. Over two years, Maggie turned trying new foods into a game, and he began to try everything, even if he eventually decided he didn’t like it. Plus, Maggie says, she relates to being a picky eater: “I also have very picky eater tendencies and lots of weird texture issues so I feel like I understand where they’re coming from.” A little understanding can go a long way. Old stories and folk tales have been used to educate children for thousands of years, and we are still finding fun and creative ways to incorporate them into learning. 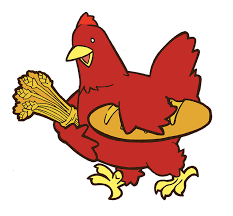 This week at Building BLOCS, some of our groups have been reading the story of the Little Red Hen. This story is integrated into various parts of the day, from storytime to pretend play. During storytime, everyone sits in a circle and listens to the story of the Little Red Hen. This sets the groundwork for the other activities–it’s important to know the story we’re talking about! We like to make it interactive, so we pause the story to ask each child a question that corresponds with his or her learning objectives. For example, someone might be asked to “point to the bread,” while someone else might be asked, “Who is cooking?”. Sometimes, we pass around toys that relate to the story to practice sharing and other important skills as well. Pretend play is when everyone gets a chance to let their creativity shine. The therapists lead an activity in the gym in which the children get to pick their own wheat, roll out their dough, and bake their bread–all in their imagination, of course! We all get a chance to process our grain and seeds in the kitchen at the first station by pouring rice through a small plastic play set. Next, we pretend we’re all giant rolling pins and roll the “dough”–four extra squishy bean bags on the floor. Then, with a slide down our slide, we put the bread in the oven to bake. Then, with a quick run back to our chairs, we’ve all baked bread, and it’s time to eat! Once everyone has had a chance to bake and “eat” their bread, we all head back to the other room for more activities. For children with ASD, pretend play can often be difficult. However, by finding a unifying theme, like the story of the Little Red Hen, and creating a fun group activity, makes it easier and more enjoyable for learning all kinds of new skills. 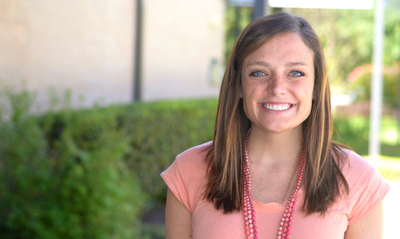 This week, we’re proud to feature Laura Gillingham, one of our talented Speech-Language Pathologists. She started working at Building Blocs in July of 2015 and has been changing lives and brightening our days ever since. Laura was inspired to become an SLP when a family member discovered that their baby would be born with a bilateral cleft lip and palate. She shadowed a number of speech pathologists and was further impressed by their wide knowledge base of different specialties. But what was most powerful was the ability to change lives. Laura comments that “the ability to communicate and experience the world is central to the human experience, and I knew that as a speech pathologist, I would be directly involved in helping others achieve this.” For Laura, speech pathology serves as a way of helping people both to improve their communication skills and enrich their lives as a whole. At Building Blocs, Laura’s favorite activity is story time, since it is an enjoyable way to work on multiple goals at once. Not only is it fun and engaging for the kids, but it is also a great time to work on targets like pointing, labeling, answering questions, and following directions. While stories are obviously great for speech activities, they are also an excellent way to get to know each child and what they enjoy most. One of Laura’s favorite aspects of her job is working with families. “Family involvement is essential to each client’s success,” says Laura. She recognizes that families have to be advocates for their children and support them in speech development at home as well. Providing the guidance to help families do that is incredibly rewarding. 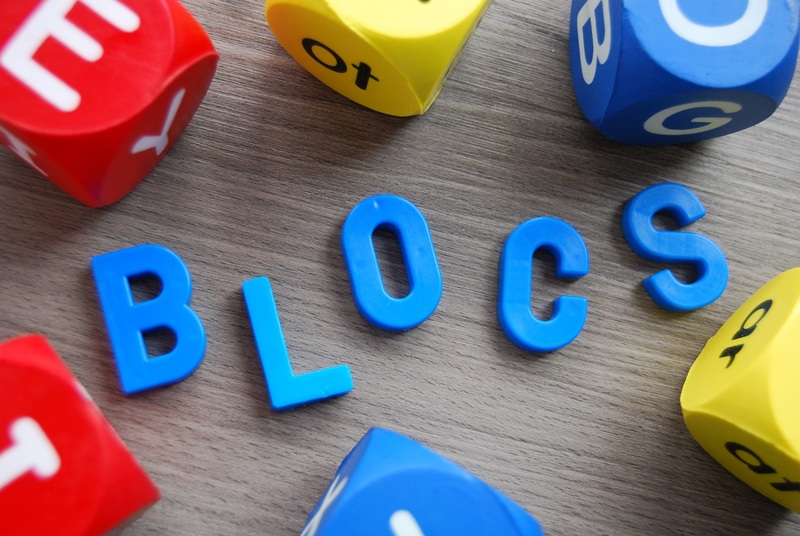 Have you ever wondered what a day in the life of an SLP (Speech and Language Pathologist) at Building BLOCS is like? Today, we’re introducing Jennifer Grantham, who can tell you all about it! SLPs are an integral part of our team at Building BLOCS. They work alongside our ABA Therapists with children with autism, as well as with typically developing children who just need speech therapy. 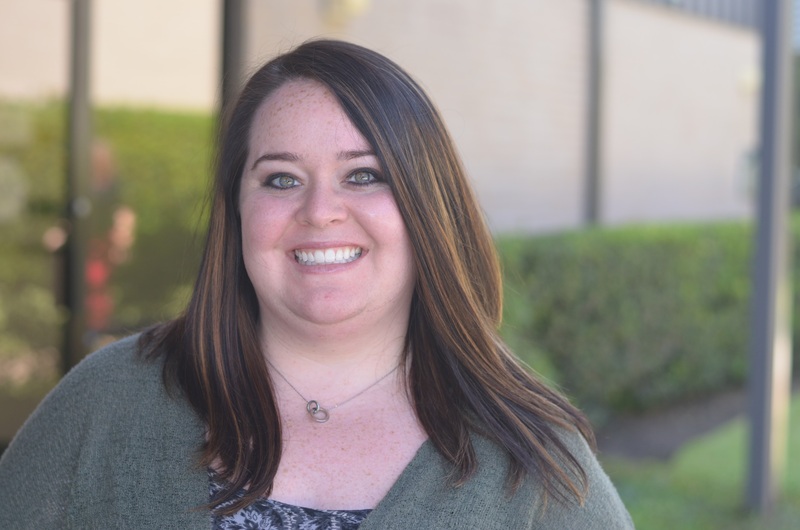 Jennifer sees individual clients with expressive/receptive language disorders, fluency disorders (stuttering), voice disorders, and articulation disorders. She also leads preschool intervention groups and Talk to Me Baby, a new parent/child class. Jennifer’s interest in language started as a child, when she lived in multiple different countries and had the opportunity to learn the local languages. Although she went to college for electrical engineering, it was a class on language and the brain that held her attention, and she decided that she would pursue speech pathology. “It was a perfect mix of math, science and language,” says Jennifer. She went on to write a Master’s thesis on the area of the brain where stuttering originates. Jennifer loves working with the kids at Building BLOCS, saying that “they remind you to laugh and enjoy the world!”. Her favorite activities are singing and cooking, sometimes at the same time. The kids get really excited when they get to crack the eggs or mix the batter, so although it can be messy, it’s fun for everyone involved. What could be better than learning and getting to eat treats? We’re so excited for our brand new class for both parents and kids, Talk to Me Baby! In this class, board-certified SLP Jennifer Grantham teaches simple ways to increase your child’s speech and language skills through books, music, motor games and toy play. It’s great for kids aged 18 months to 3 years of any developmental background. We know that you know your child best, so this class gives speech language pathologists and parents the opportunity to join forces in order to teach language skills effectively. You can show us what your child’s favorite game or song is, and we’ll show you how to utilize that play activity to target communication skills. The goal of this class is to shape what you’re already doing at home to foster language development. Every class will target a different goal based on the needs of the families attending. For example, one class might target what sounds are developmentally appropriate, while another might target using a slower rate of conversation to be a better conversational partner for your little one. However, each class will feature music, a story, toy time, and motor time. There will also be time for questions and time to practice the day’s target strategy. It’s fun for kids and educational for parents, so both of you are sure to enjoy the activities. Plus, there’s no need to bring or prepare anything–just show up ready to learn and have fun! 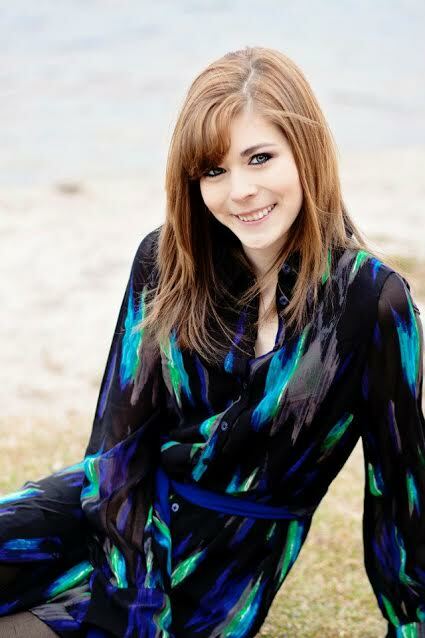 Meet our newest BCBA, Cayley Miles! Cayley has been an ABA Therapist at Building BLOCS for the past year and a half, and on Wednesday she received her BCBA. This week, she’ll be kicking off our “Meet our Team” blog series, where therapists and speech pathologists tell you about their jobs, from their favorite activities with the children to what makes it most challenging. Early intervention, speech, and ABA therapy can be incredibly life-changing. We believe that this therapy should be as accessible as possible for families of all socio-economic backgrounds. Unfortunately, Texas lawmakers have enacted severe budget cuts that will soon impact many families’ ability to provide therapy for their children. 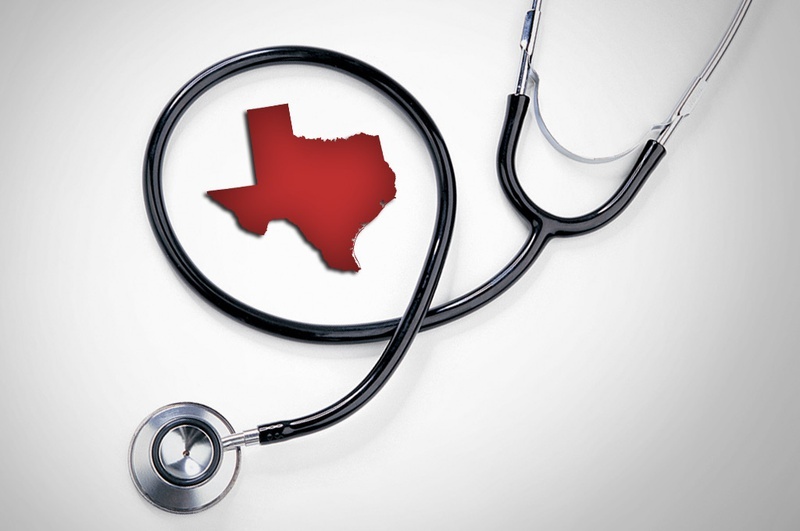 In short, Texas legislators have cut Medicaid funding for therapy services, including speech, autism, and occupational therapy, for thousands of Texas children with disabilities. Although a lawsuit was filed to halt the budget cuts, the Texas Supreme Court refused to hear the case. Now, starting on December 15th, those budget cuts will be officially applied. While this is obviously devastating news for our community, there is still a chance that the budget cuts may be reversed. House Speaker Joe Straus has shown interest in addressing the issue during the next House session, beginning in January. Therapy services such as the ones being cut by Medicaid are vital to our children and our communities. Please join us in contacting our representatives to ensure that these children do not continue to lose healthcare services. House Speaker Joe Straus’ mailing address, email address, and phone number are listed here. As we near the upcoming House session, it is imperative that we remind him how much of a difference these therapies are to our children and our families. In addition, you can email or phone Governor Greg Abbott or Lt. Governor Dan Patrick. At Building Blocs, we witness daily the immense change that early intervention therapies can make in children’s lives and the lives of their family. These therapies should be accessible for all children, including those on Medicaid. The funding necessary to help children with disabilities is not excess to be cut from Texas’ budget; instead, it is essential to the upbringing and well-being of Texas’ children.